Salvador Fallo and his wife, Anna, were living in Painesville, Lake County, Ohio, in 1918. Salvador Fallo was born on Monday, June 1, 1885, at Italy. 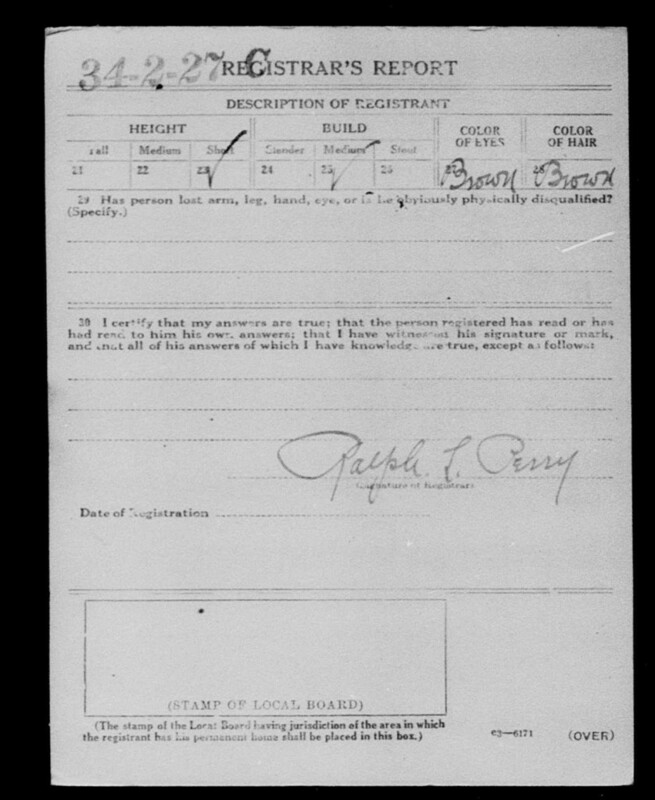 Salvador Fallo registered for the World War One Draft on September 12, 1918. He was living at 122 Railroad Street, Painesville, Ohio, when he registered. He listed his place of birth as Italy. He cited his wife as Anna Fallo, also living at Painesville. 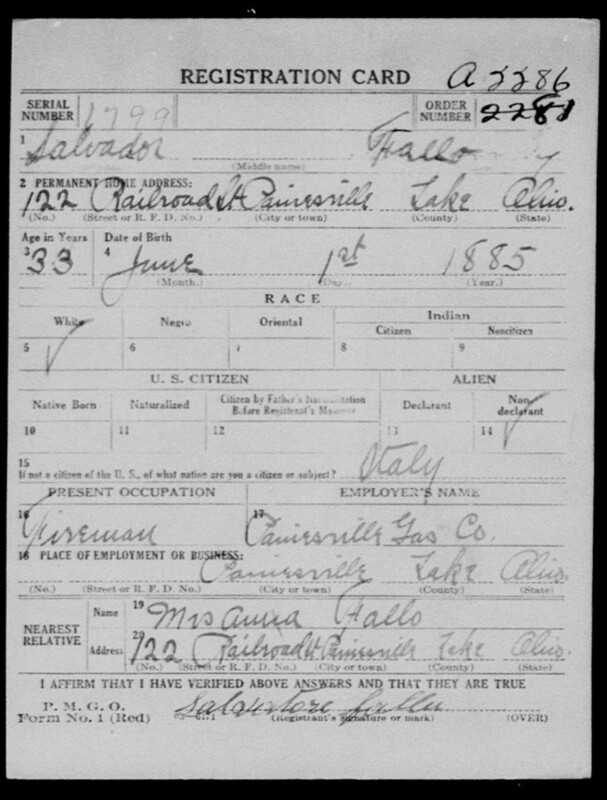 Salvador’s and Anna’s Italian names and places of birth are not known.